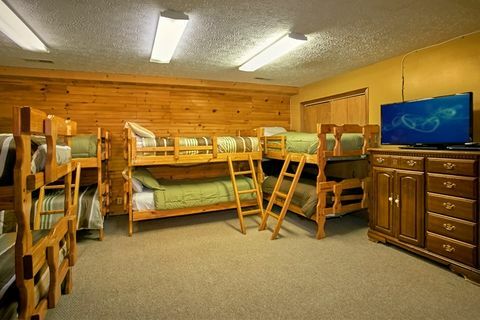 "Family Gathering" provides a spacious lodge in Pigeon Forge for up to 28 guests under one roof! 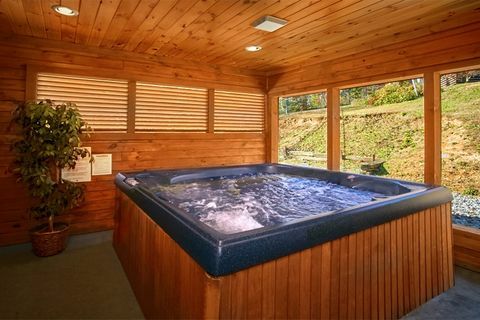 This beautiful Smoky Mountain cabin with indoor hot tub boasts plenty of space to host a family reunion or church retreat and rests in an ideal location next to the Mountain Park Resort swimming pool, where guests can cool off during the summer heat. 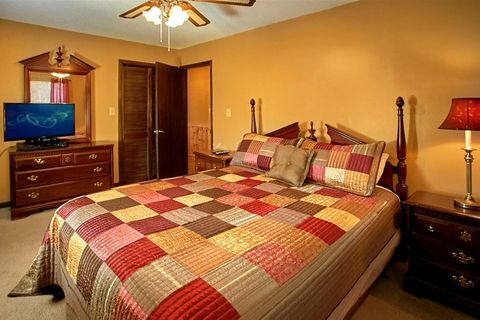 Your roomy cabin in Pigeon Forge’s Mountain Park Resort places you just one mile off the action-packed Pigeon Forge Parkway. 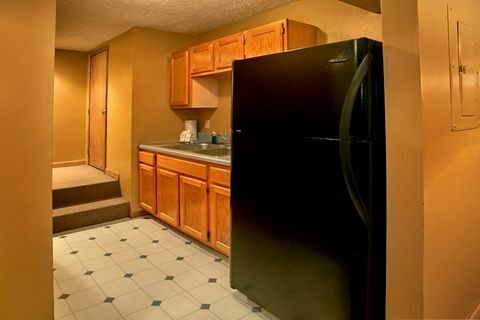 Enjoy fast easy access to Smoky Mountain area attractions, dinner shows, restaurants, and seemingly endless adventures. 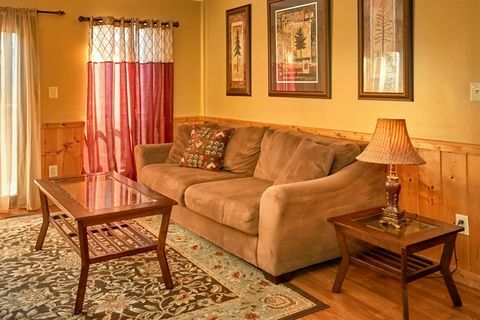 "Family Gathering" offers a two-level ranch style cabin with WiFi Internet. 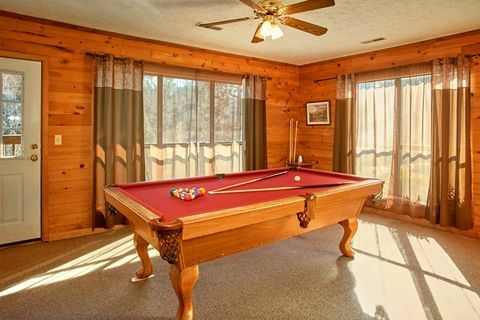 As you enter your Smoky Mountain cabin the indoor hot tub is located on your left and the game room, with full-size pool table, is off to the right. 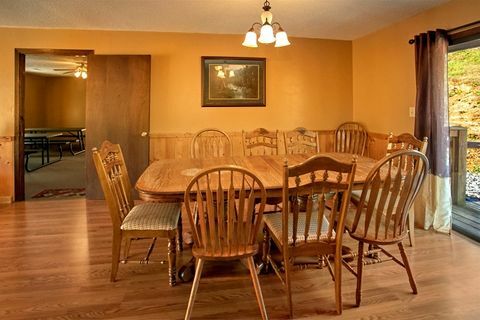 You pass through the roomy dining hall with 4 tables into the living area where another dining table, spacious kitchen, and living room are located. 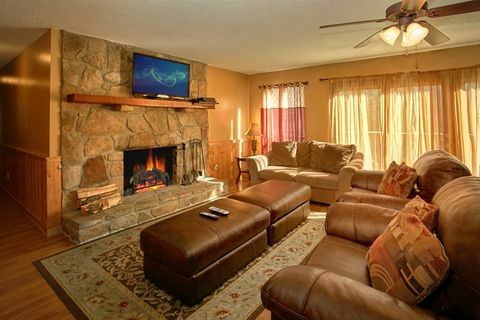 The huge wood burning stone fireplace is the centerpiece of this space made for entertainment. 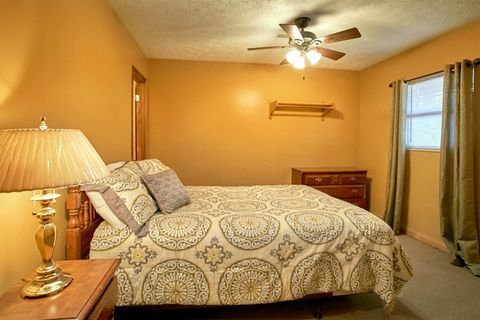 Outside at your cabin's fire pit area, you can look forward to spending quality time with friends and family around the fire while you enjoy a nice evening under a starry night's sky. 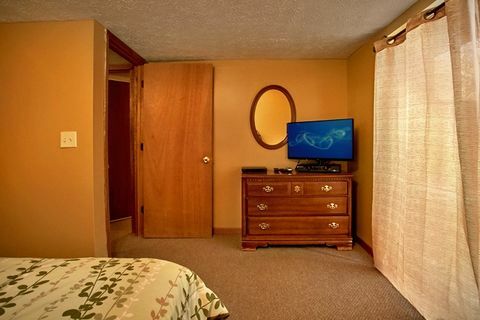 There are 7 bedrooms with their own televisions and comfortable accommodations, providing enough space to sleep a small army. 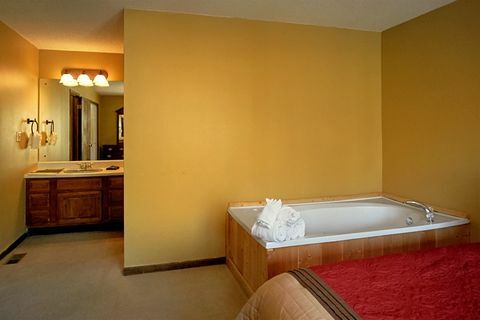 To your left, a master bedroom with king-size bed, in-room jacuzzi tub, and private bath. 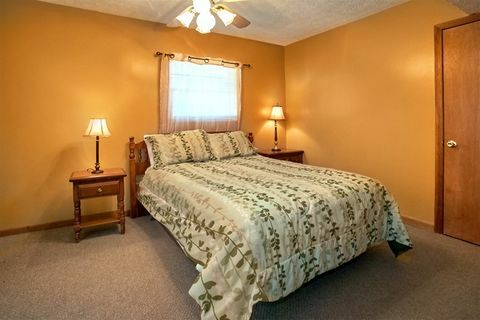 To your right, 2 bedrooms with queen-size beds with a shared bathroom offer additional sleeping space. 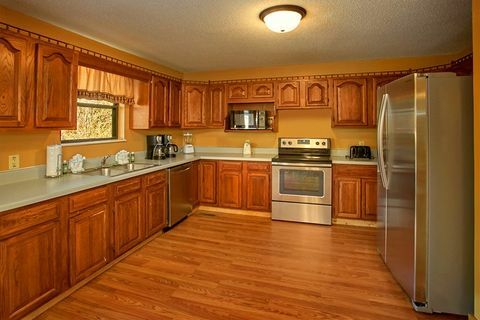 Stepping to the lower level, your "Family Gathering" cabin in Pigeon Forge TN offers a kitchenette for additional snack opportunities. 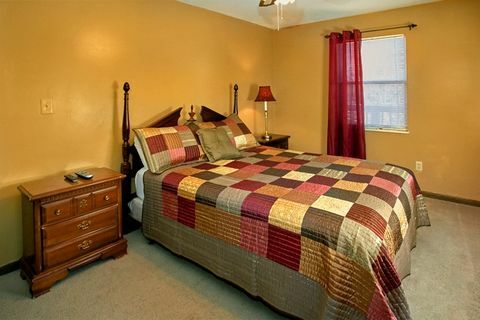 Off to your left are three bedrooms, 2 offer comfortable queen-size beds and the other a full-size bed. 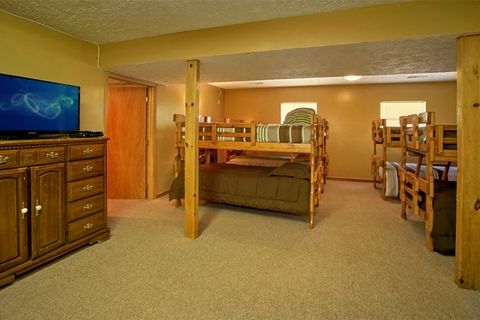 Back down the hall, an open room with 8 sets of bunk beds that all the kids are sure to love. 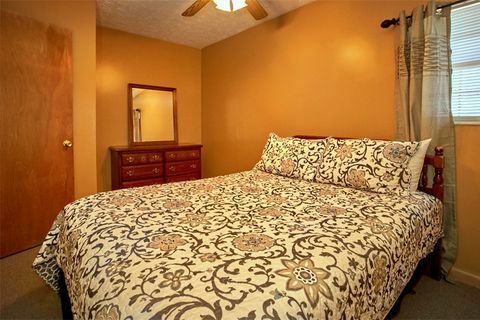 If you need a spacious lodge in Pigeon Forge, "Family Gathering" cabin in Pigeon Forge is the place you ought to stay! 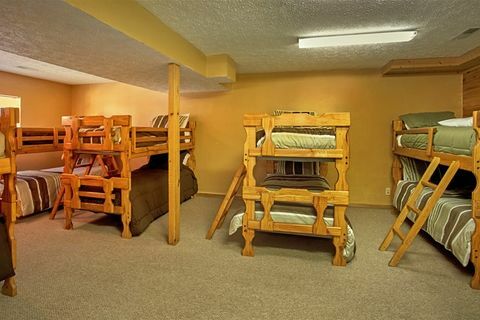 Experience a memorable action-packed Smoky Mountains gathering when you book this huge cabin in Pigeon Forge. 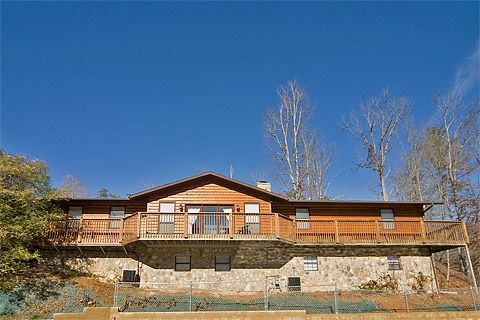 Online bookings with Cabins USA receive an immediate Online Cabin Discount!